Wesley William Jerves, 58, of Hanamaulu passed away at home on November 9, 2018. 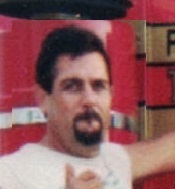 He was born in Lihue on December 17, 1959 and was a Truck Driver and Heavy Equipment Operator. Preceded in death by his daughter, Weslyn Jerves; father, Raymond Jerves; brother-in-law, Joel Miyashiro. Wesley is survived by his wife, Rhonda Jerves; daughters, Channel (Myron Matsusaka) Jerves, Ashlyn Jerves, Jewel (Philip Papagayo) Jerves; mother, Meta Jerves; 7 grandchildren, Cerian Jerves, Tori Santiago, Wesley Santiago, Myah Matsusaka, Janai Thompson, Aiyana Matsusaka, Rize Papagayo; sisters, Lorilei (Randy) Watson, Alison Miyashiro; brother, Raymond (Peggy) Jerves; numerous aunties, uncles, nieces, nephews and cousins. A celebration of his life will be held on Saturday, December 8, 2018, at Lihue Lutheran Church with visitation from 9:00 a.m. and services celebrated at 11:00 a.m. Burial will follow at Lihue Cemetery.